I sometimes feel uninspired and occassionaly have those days where I have to think about 'what I am going to wear today' and it can be hard because you just look through your wardrobe and think what can I wear today that would good in a blog post so I can talk about it my own way and just put a little twist on it. I have been feeling like that recently and to be honest that does not happen a lot and usually I can go to my wardrobe and just know what I am going to wear today. I am sure we all have those days were we feel uninspired with ourselves and sometimes it just takes a new little piece of clothing to completely change your overview on your clothes. At the moment I have seen some gorgeous clothes in the shops which I am dying to get my hands which will make my Auturm/Winter attire great again. 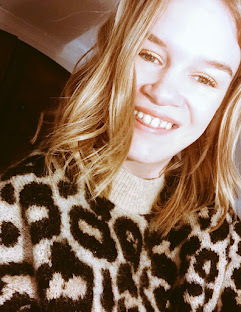 I love buying new jumpers to wear and to start looking at the boots again.. Topshop and Zara have some amazing things in at the moment! I am one of those unfortunate people who would find it hard to shop online because I am tall and I need to try clothes on first to see how they fit, especially jeans/dresses and skirts. If you are tall yourself you will understand exactly what I mean.. you just cannot get away with shopping online unless you know they will defintely fit right. For me, I just find it 10 times easier to walk into a shop try on what I want too and go away feeling like a happy girl. Social media can be so intense at times and as much as I love Instagram and Twitter it is really nice to take a step back and sit back and relax. It can be so over powering and sometimes I feel like I am comparing myself to other people and then I think to myself 'why am I doing this Charlotte' I do not do this.. I need some time to refresh, take my mind of blogging and Instagram and realise that there is so much more than social media and my phone going off all the time. I believe every person needs to do this, even if its just a couple of days as it can be too much and it is nice to go back to the days when social media did not control your life. The best thing about having these breaks is that you come back not comparing yourself to other people and other bloggers and you can just focus on you and your own blog and it does not matter if they have more followers than you or if their blog is more successful than you. At the end of the day everyone is different and unique and I am proud to be and proud of my blog and Instagram.